Here you will find the latest voluntary, community and faith sector news from Sefton CVS. The Swan Centre are offering women the opportunity for personal growth and confidence building through their ‘Social & Therapeutic Allotment Project’. And with research showing that green activities improve mental health in over 94% of people, the Swan centre are inviting Sefton women to attend every Wednesday morning over the next year to reap the full therapeutic benefits. The project will allow women to meet others and make new friends in a relaxed therapeutic environment. They will benefit from improved physical and mental health, as well as learning new skills at their own pace. Please click here to download a project flyer from The Swan Centre. Sefton Council has launched an online questionnaire as part of a public engagement and consultation into the delivery of medically managed residential substance misuse detoxification services in the borough. Detoxification is part of integrated drug and alcohol treatment services and any successful recovery requires sustained and coordinated care. When severe dependency or complex needs are indicated a medically managed residential inpatient treatment may be more suitable and will give the patient 24/7 access to specialist doctors and other clinical staff. The current service contract expires in June 2016 and the council is seeking to engage a wide range of stakeholders, including existing service users, potential service users and third sector organisations to help inform the service specification ahead of the re-commissioning of the service. Sefton Council understands that this is a very highly specialised treatment and therefore we are seeking the views of as many service users as possible. Pharmacists in Sefton’s two clinical commissioning groups (CCGs) will be reminding residents about the range of services available in local chemists, and encouraging them to make appropriate use of NHS services during Ask Your Pharmacist week (9-15 November). Often, people make unnecessary trips to the GP or even A&E, when their neighbourhood chemist could help instead. In recent years, pharmacists have expanded their role, and now provide a wide range of clinical and public health services, within easy reach of the people who need them most. However, whilst most people go first to their chemist for medicines and medicines advice, many don’t know about the range of other healthcare services on offer in chemists. NHS South Sefton CCG and NHS Southport and Formby CCG have made this easier with their Care at the Chemist scheme, providing fast expert advice and medications for a wide range of conditions, without the need for a doctor’s appointment. Susanne Lynch is the CCGs’ head of medicines management and the Sefton mum of two and uses Care at the Chemist if her boys are under the weather. Susanne said: “Our Care at the Chemist service helps keep people up to speed with what is now on offer on their doorstep in pharmacies – a uniquely accessible healthcare professional workforce who can deliver expert medicines advice and an expanding list of public health services. “Your local pharmacist is a good first contact point for advice on many common health concerns – it is certainly mine. While most people will go first to their pharmacist for medicines advice, many don’t know about the range of other healthcare services provided by pharmacies on their doorstep and the level of expertise there. Pharmacists are available without appointment and are able to deal with a wide range of ailments, as well as offering uniquely accessible advice on maintaining and improving your health. Activities are planned across the country during Ask Your Pharmacist Week including health checks in shopping centres, community talks, chemist window displays and visits to chemists by local dignitaries. Anyone of any age who is registered with a Sefton GP can get Care at the Chemist. Simply call into your chemist and ask to be registered onto the scheme. It is best if you use your usual chemist but if you are using one that does not know you; you will be asked to bring proof of identity. Sefton Local Safeguarding Children Board is Looking to Appoint a Second Independent Board Member. Sefton Local Safeguarding Children Board (LSCB) is looking to appoint a second Independent Board Member to help in contributing to keeping local children safe. All local authority areas are required by Government to have a Safeguarding Children Board in place which has members from agencies such as the Police, Health providers, Children’s Social Care and Probation. The aim of all Safeguarding Boards is to ensure that there are plans in place in their area to keep children safe. The Sefton LSCB is now looking for a new independent board member to join the team. To apply you need to live in Sefton but you must not work for any agency that is a member of the Board. This includes unpaid work as a volunteer. We welcome people from all backgrounds, ages and communities, and especially young adults. Dr David Sanders, Independent Chair of Sefton LSCB, said: “Working as an Independent Board member with Sefton LSCB will be a challenging and very important role. “However, it will also be extremely rewarding and provide you with an opportunity to serve the children and families of Sefton. You do not have to be a professional but you need to be committed to support the work of the Board, engage with local communities and a willingness to challenge the thinking of others. Sefton Local Safeguarding Children Board (LSCB) aims to be an inclusive board and represent Sefton’s rich and diverse community. Jamie Carragher Opens New Health Service Shop – Strand By Me! Liverpool FC legend Jamie Carragher was the VIP guest at the launch of a new community and health service shop in Bootle. The former Reds defender officially opened the Strand By Me outlet at the Strand Shopping Centre, which will be used as a local base by a range of organisations working to improve the health and wellbeing of residents in the town. Other guests at the launch included representatives of the partners in the new venture – NHS South Sefton Clinical Commissioning Group (CCG) and Sefton CVS. The Strand By Me shop – based on a an idea by GP practices in Bootle to make sources of support more accessible to residents – is available for organisations to hire to promote their health-related services and offer information and advice to local people. These organisations include public sector health providers, charities and voluntary, community and faith sector groups, who offer support with everything from stopping smoking and welfare rights to keeping fit and ageing well. Speaking at the launch Bootle-born Jamie – who also runs his own young people’s charity, the 23 Foundation – gave his enthusiastic backing to the new facility. He said: “As a local lad I’m passionate about anything that helps to improve community services in Bootle and the health and wellbeing of the people who live here. Sefton CVS Deputy Chief Executive, Nigel Bellamy, added: “Strand By Me demonstrates the strength of partnership working across the public, private and voluntary sectors. For more information on Strand By Me email StrandByMe@seftoncvs.org.uk or visit www.seftoncvs.org.uk/StrandByMe. NCVO: What might charity Trustees learn from the closure of Kids Company? The sad news that Kids Company is closing down is a crushing blow to everyone involved. Regardless of the inevitable debate regarding the effectiveness of its work and accusations of a lack of management control, its clients today don’t have the services that they had, and its staff and volunteers are left without an idea of what the future holds. Those volunteers include the trustees, a position I found myself in last year, when as one of the trustees of the BeatBullying charity we made the difficult decision to enter our charity into a creditors’ voluntary liquidation, with the result that the charity closed down. From my experience, I think it’s important to highlight that the only thing outsiders should really know is that they don’t know what is really going on. Large charities like Kids Company are often incorporated as companies and as such subject to company law. Faced by an inquisitive media, we were strongly advised to say nothing by our lawyers, specifically because any comments might affect our chances of getting someone to take over the charity as a going concern. This is important, because once a company becomes insolvent, the primary stakeholders become the creditors. Whereas before our primary duty as trustees was to the beneficiaries of the charity, after a declaration of insolvency, you must not prejudice the interests of creditors. And company law trumps charity law. Nevertheless, be prepared for criticism for your silence. And for the inevitable filling of the media vacuum by those outside the organisation (which is why my comments here aren’t about Kids Company specifically). If saying nothing to the outside world was difficult, what was even more difficult was the knowledge that our primary responsibility was now to creditors. In other words, not the staff or the children and young people who were our users, the people for whom we got into this. But that doesn’t mean that you can’t talk to other charities or statutory agencies about who can help the service users, and then signpost to them. We did an awful lot of phoning in those long, difficult days – and for a sector that is often accused of being ultra-competitive, we got many offers of support from other charities. Although the doors were metaphorically closed, our experience of the voluntary liquidation route was that there is still an awful lot of work required if you want to try and preserve the service for users. The single most important lesson here is that the staff (many of whom stuck around, despite not being paid or getting much in the way of communication from us) and the trustees have to stick together. I can’t underline enough how important this is: a number of people subsequently told me that in their experience the trustees had run for the hills. The Administrator arguably should do this work, but the challenge might be that there isn’t enough money left for an administrator to spend time trying to transfer the charity as a going concern. So if you care about the service and the beneficiaries, you’ll probably have to put the hours in. Get proper legal and financial advice. We had some fantastic professional advice, including pro bono advice. I would strongly recommend that you get this, and the earlier the better. That’s particularly the case if you are in financial difficulties: nobody wants to be accused of wrongful trading. If you’re at the point where you have concerns about whether or not the charity is a going concern, its more important than ever that you get accurate, timely financial information. It’s likely that the board will be meeting at least once a week to discuss this. Much tends to get written about whether funders were right to make further payments to a charity that subsequently fails. Yet there is a similar onus on the trustees to be sure that in continuing to ‘trade’ at that point that they had a reasonable certainty of continuing as a going concern. Get professional advice (ideally from an insolvency practitioner), it’s out there. Also make sure that you tell the Charity Commission what is happening, as they need to know. It wont help in the long term if they are the last to know. Every year thousands of charities close. Thousands are established. 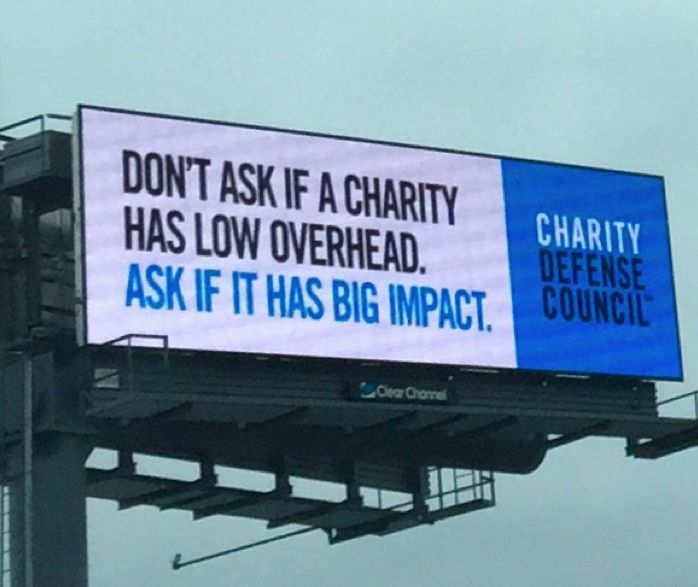 The news of a large charity closing triggers introspection (there but for the grace of God…) but even more thousands successfully deliver brilliant campaigns or services. Newspaper website articles nevertheless are deluged with inaccurate comments criticising charities for their poor governance and financial incompetence, but they also highlight some hard truths and paradoxes about how our sector works. The brave not so new world of contracting with the state for the delivery of services has singularly failed to enable charities to build their resilience. While many charities now have a reserves policy, implementing that policy and building 3 months’ worth of expenditure is a goal many find unattainable. Charities with reserves can find it hard to convince donors and funders that they should give their support (the so called non-profit starvation cycle). And donors dislike of funding core costs or ‘administration’ mean that it remains difficult to put in place the sort of financial and outcomes reporting infrastructure that build resilience in many charities. We need to shift the questions from low overheads to high impact. Many trustees will no doubt be more carefully reading the financial report in advance of their next board meeting as a result of recent events. That is a good thing. I’d particularly recommend that you read the Charity Commission’s 15 questions to ask at your next board meeting. And just as boards sticking together at times of crisis is a good thing, I hope we as a charity sector stick together now, and support those who are currently trying to save the services provided by Kids Company, in the anticipation that we will learn from their experience later in the future. The Sefton Cancer Support Group is a registered charity, based in Formby, which gives support to Cancer Sufferers and their Carers. The Support Group is available as a resource for information, financial advice, and support. They also offer a social opportunity away from the stress of dealing with cancer, providing aromatherapy and relaxation, acupuncture, chiropody, reflexology, and Reiki to unwind the client and re energise them. They also provide social opportunities for the people recovering from the trauma of cancer, such as day trips or going out for meals. An after hours helpline is available for those who need a human voice to talk to at night. The number is 01704 876 613 and the call will be answered by a volunteer whenever possible. For any further information you can visit http://www.seftoncancersupport.org.uk or click here to download a leaflet. Dedicated volunteers from Southport, Formby, Crosby and across Sefton have been honoured for their outstanding contribution to their local community. 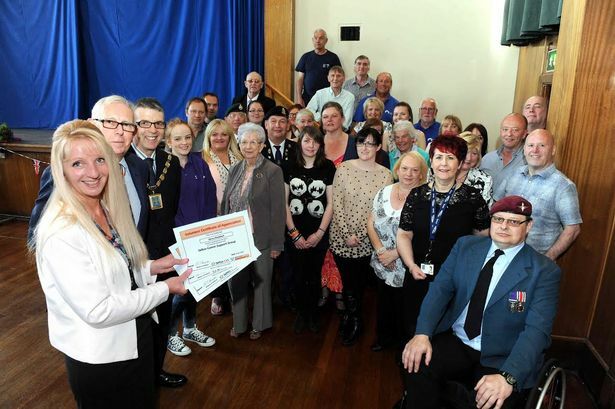 More than 100 volunteers attended a presentation ceremony at Bootle Town Hall which was organised by Volunteer Centre Sefton, part of Sefton CVS, to mark national Volunteers’ Week 2015. The VIP guests at the event were the High Sheriff of Merseyside, Robert Owen JP DL, and the Mayor of Sefton, Councillor Stephen Kermode. Volunteer Centre Sefton figures show that the organisation recognised a total of 148,000 hours of volunteering during the last financial year. Based on the average earnings for Sefton, this equates to an investment of around £1.9 million in the borough by volunteers over the 12-month period. The Volunteer Centre also used the Bootle Town Hall event to officially launch its new Sefton Volunteer Involving Project of the Year Award (VIP Award). Pictured at the presentation ceremony (front left) Vicky Keeley from Sefton Volunteer Centre, High Sheriff of Merseyside Robert Owen and Mayor of Sefton Cllr Stephen Kermode with volunteers from Bootle, Crosby and Maghull. This new annual honour will recognise organisations who create a range of interesting volunteering opportunities, provide positive experiences for the volunteers who support them and excel in volunteer best practice. Applications are now being accepted for the inaugural award. The closing date for entries is September 30th. Vicky Keeley, Manager of Volunteer Centre Sefton, said: “Our annual celebration at the Town Hall is a great way for us to pay tribute to the hard work and commitment of volunteers throughout the borough over the last 12 months. “I want to thank them all for making a real difference to the lives of a huge number of local people, in particular some of Sefton’s most vulnerable residents. “I would also like to encourage volunteers to nominate their organisations or groups for the VIP Award which will recognise excellent work in volunteer management,” added Mrs Keeley.